Master Practitioner in Usui and Celtic Reiki and Meditational Healer and practice as a mobile therapist in Staffs Moorlands area. I also hold diplomas in Herbalism, Hopi Candling and Bach Therapies. 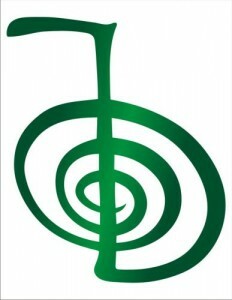 The word Reiki derives from the Japanese Rei, meaning spiritual wisdom, and Ki, meaning energy. Though Dr Mikao Usui, recognized as the first Reiki Healer, was a Buddhist lay preacher, Reiki is not a religion in that sense of the word, even though many people find Reiki a spiritual experience. Universal healing energy is present in all living things from the smallest insect or seed to the world itself, and has been recognized by many different cultures since earliest times, from the Japanese Ki via Chinese Chi (or Qi) to the ancient Welsh Nerth. Whatever the name, most traditional healers use a similar system. The eastern system of Reiki is probably the most widely recognized, and uses the system of energy routes through the body called auras, meridians and chakras. Reiki can consist of one off or a series of sessions. The session will include a discussion of you needs, or, in other words, why you have sought a Reiki practitioners help. The practitioner will make a preliminary scan of your aura to decide on which energies will be best suited for the problem in hand. The recipient can remain seated or lay down (fully clothed) and need do no more as energy is channelled to and through them. Most people feel a sense of warmth or a tingling sensation and, more importantly, a relaxing of tension from mind and body. The session, including consultation, usually takes between 45 to 60 minutes. Please note that whilst Reiki energy is almost always beneficial in many situations it is a complimentary therapy, the advice of a GP or other medical professional should always be sought for diagnosis and treatment of medical conditions. Celtic Reiki sessions includes the use of crystals to aid in energy balancing. Often a grid of crystals, chosen specifically for the session, will be used as a focus for energy. This is especially helpful in distance healing where energy is transmitted to the recipient from a separate location. Reiki, as with many other forms of the art, utilizes crystals to concentrate energy in a particular formation. The stones used are chosen during the consultation and always cleansed between sessions.